In the Burggrafenamt district of South Tirol, Italy, a castle sits on a hill, named by the ancestral seat of the Counts of Tirol during the 12th century. 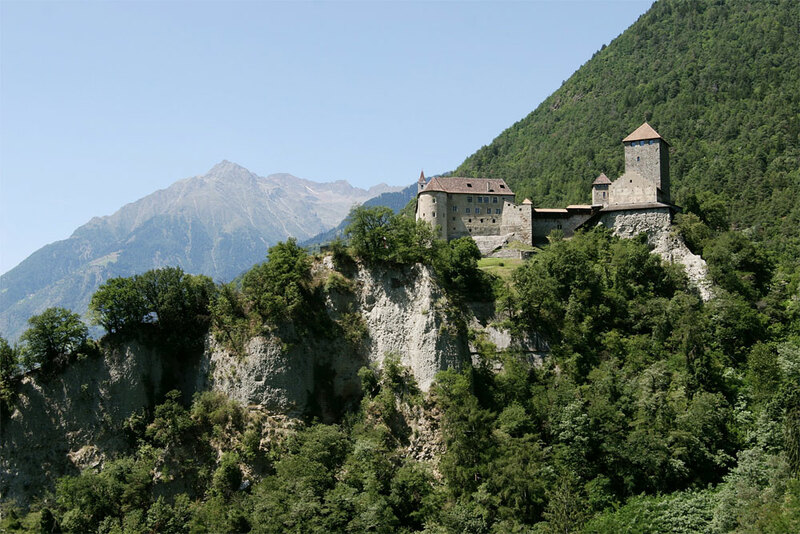 The castle has witnessed a range of historical events, through the Habsburg dynasty, the Napoleonic Wars, two world wars, and now embodies its modern role as the South Tirolean Museum of History. Even while surrounded by the turmoil of conflicting dynasties, invasions, wars, and treaties of the region, the castle remains standing to this day. But perhaps the greatest threat to its survival into the future is the very foundation on which it sits. 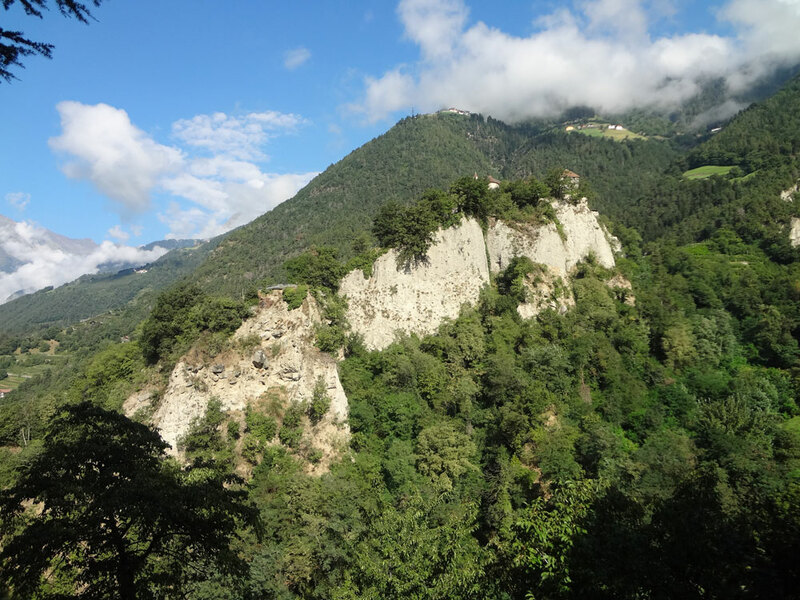 In August of 2012, UNAVCO engineer Abe Morrison and RESESS intern Melissa Carnicle traveled to Tirol, Italy to conduct a TLS survey of the exposed bluff under Schloss Tirol castle. 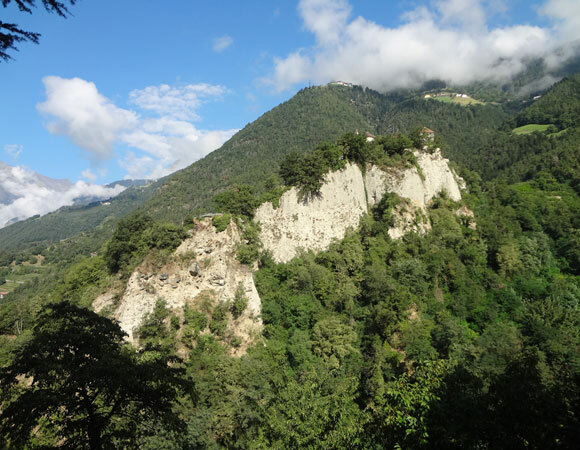 This survey turned out to be quite tricky due to the location of the bluff, which is situated on the side of a deep valley with heavy vegetation. The best scan position was taken from the approach road to the Schloss Tirol castle and from the adjacent Castle Brunnenburg. The deep valley and vegetation also made the placement of scan targets particularly challenging. 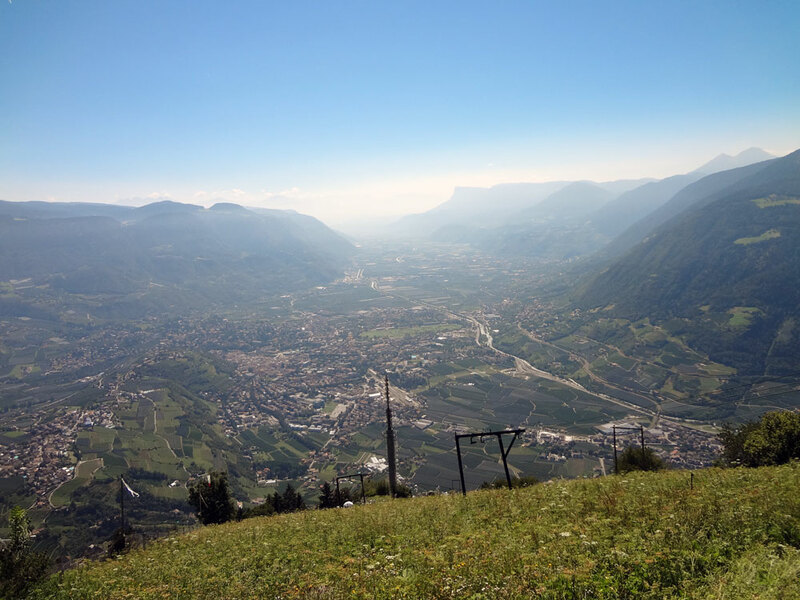 The project will use TLS to differentiate and correlate glacial sediments exposed in bluffs in the upper Adige Valley. 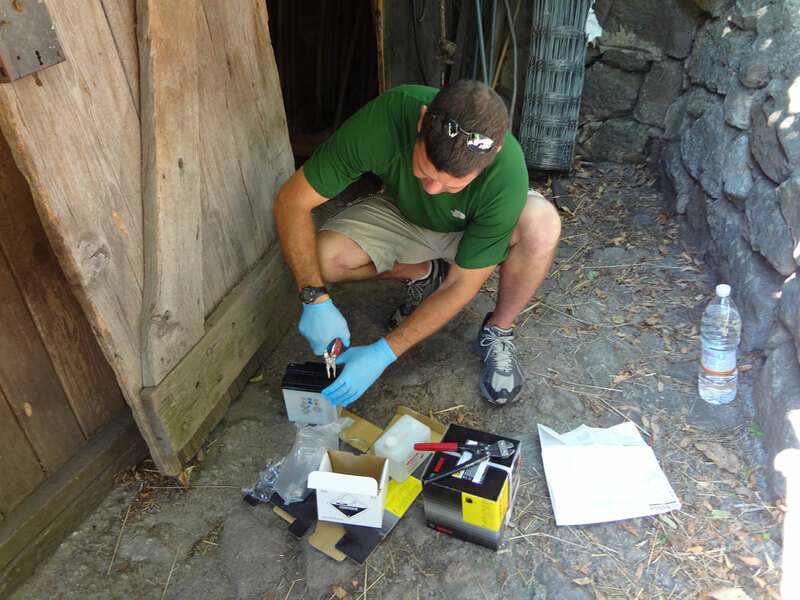 This will shed light on the geology of the region, which has been limited due to the fragile nature of the castle restraining traditional geologic observation and sampling. This study will also provide detailed information about bluff erosion over time, which is a major concern for future castle stability. 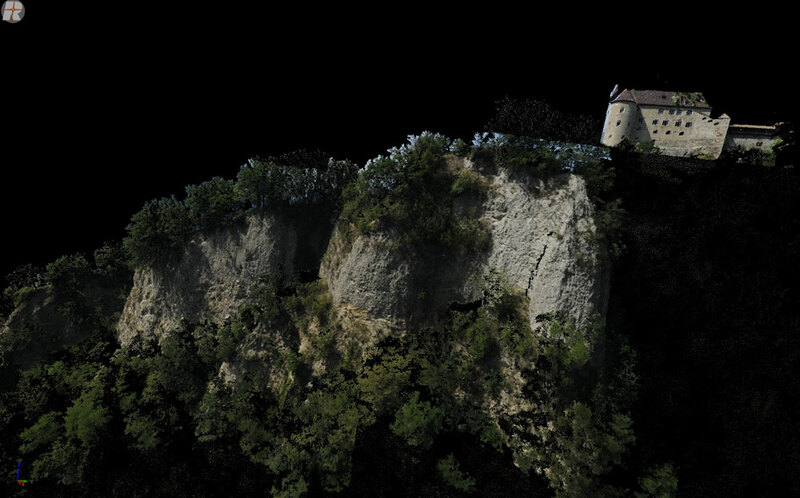 TLS data will allow the bluff erosion to be monitored over time. Figure 1. 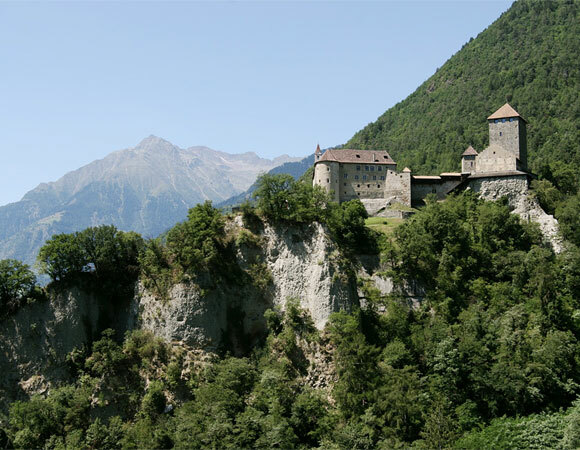 Outside view of Tirol Castle near Meran in South Tirol. By Eigene Aufnahme, August 5, 2005. Figure 2. 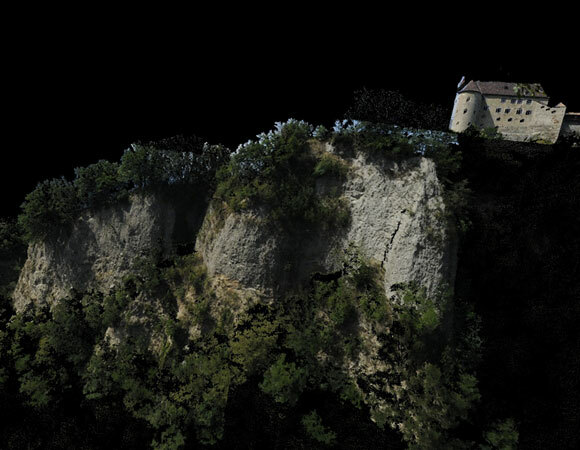 Colorized point cloud from scan of bluff under Castle Tirol. By Abe Morrison. Figure 3. Actual photo of object of interest bluff under Castle Tirol. Photo by Abe Morrison. Figure 4. 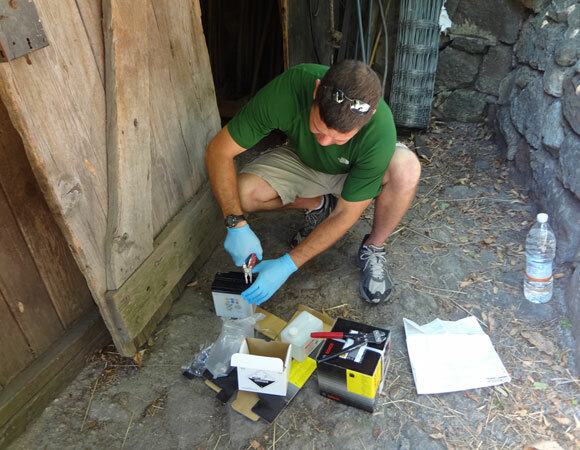 UNAVCO engineer Abe Morrison prepares batteries for TLS scanner, bought in country due to weight limitations of shipment. Photo by Abe Morrison. Figure 5. 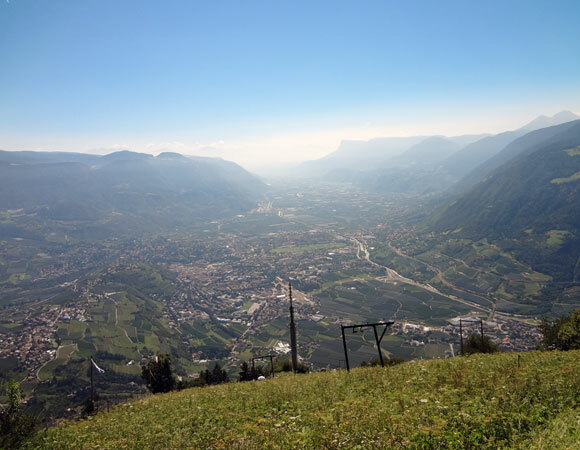 Looking down into vally from above Castle Tirol. Photo by Abe Morrison.